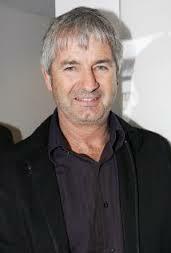 John Jarratt, Celia de Burgh. 1. An enjoyable telemovie? Presentation of themes and characters for the home audience? Telemovie style for home audience attention? 2. The South Australian locations, colour photography? The authentic atmosphere of the city, the countryside, the institute for the deaf? The musical score and the theme song? 3. The importance of sound, music, sounds and their absence? The highlighting of the plight of the deaf with particular sounds and soundless sequences? 4. The tone of the title? A love story for the deaf? How strong? Sentiment? Treatment of love between the disabled for a telemovie audience - understanding, sympathy? The brevity of the telemovie for impact? 5. The introduction to Eileen - discovering that she was deaf and dumb, sympathy for the hitch-hiking girl, her flirting with the drivers, audience response to her stealing, her taking in the men drivers? Her being chased and caught? Her going to the home? How well did the film quickly establish her character? 6. The introduction to David - at work, the noise, his mechanical skills, car racing, his not hearing well, his deafness being the cause of the accident? His bitter reaction after the accident, especially to his friends? How well did the film quickly establish his character? 7. The portrayal of the institute for the deaf and the trainers? Skills, their consulting between themselves, being prepared to take risks? Sequences for learning sign language, for lip-reading? The party for the deaf girl with its sentiment and feeling? Disappointment in Eileen's staying away for the night? The trainer with his deaf parents and deaf daughter? A realistic presentation of those who train the deaf? 8. David and his learning sign language, the difficulties of lip-reading, watching television and feeling frustrated, not hearing the kettle boil, his relationship with his friend - and growing acceptance of his support and the return to work? The initial encounter with Eileen and his anger with her in the car? Their outings, communicating, attraction? The tender tone of the love sequences? The exhilaration of the fast ride? Sharing experiences, fixing up the flat? Eileen's reaction to David's friend and stealing his wallet? Their clash? 9. Eileen and her resistance to the people at the home, her concealing her knowledge, her playing the piano and dancing and reaction to the applause? The discovery of her name? Her proving that she was intelligent by putting the headlines in order? Her attraction to David, hiding in the car, going for a ride? The jealousy of the friend and stealing the wallet, her being hurt by the clash. her returning the wallet? 10. The bonds growing between the two? The outing in the countryside, the waterfall, watching the train? The possibility of a future together? 11. Eileen's being hurt with David's insistence about not being deaf? Her leaving? His chasing her in the car, following the two men who picked her up and tried to assault her? 12. David's defiance and insisting he wasn't deaf, his going through the tests and accepting his deafness? 13. The future for the two? Insight into the disabled - either congenitally or by accident? Personal fulfilment and needs, love?